Can riding a bike cause Erectile Dysfunction? What is the relationship between cycling and sexuality? 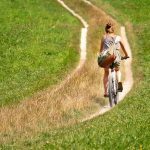 Can cycling lead to impotency? 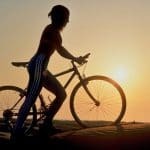 According to a new study led by Benjamin Breyer, department of urology (University of California, San Francisco), riding a bike doesn’t cause erectile dysfunction, does not make cyclist impotent, and cyclists do not face any sexual problems. This study nullifies all the above facts. They found cyclists’ sexual and urinary health same when they compared with the swimmers’ and runners’ group. But they found some cyclists were at more risk to face urethral strictures. Does Cycling Cause Erectile Dysfunction? An interestingly finding was: the high-intensity bicyclists’ group had better erectile scores when compared with that of the low-intensity cyclists’ group. Neither the bike type nor on what surface the cyclists were riding on have had any negative effects on cyclists. The cyclist who adjusted the height of their handlebars lower than the saddle height did increase the possibility of facing saddle sores and genital numbness. How to Reduce Genital Numbness? Cyclists who were cycling 20% of their cycling time in standing position drastically lessened the consequences of genital numbness. Still are you worried? Read this article to be extra careful while adjusting seat position and choosing a saddle for your bike. I'm Katherine. Passionate about cycling and kayaking. Graduated from the University of Alabama with my major in Economics. Writing is another thing, I do like most.